Falls Creek has a rich heritage. In 1948-49 Bob Hymans built a small lodge and in 1957 he also built the first chairlift in Australia at Falls Creek. This Lodge is still standing today however by 1961 the St Elmo’s rope tow and Hyman’s chair had become unreliable and the Summit and Village T-bar were installed. Falls Creek historically has the most consistent snow of all Victorian resorts. In line with world-class resorts, we have extensive snowmaking, and door to door skiing. In modern times, Falls Creek has become Victoria's largest alpine resort and is located in the north-eastern alpine highlands of Victoria, Australia. Falls Creek is approximately 30 kilometres from Mount Beauty. 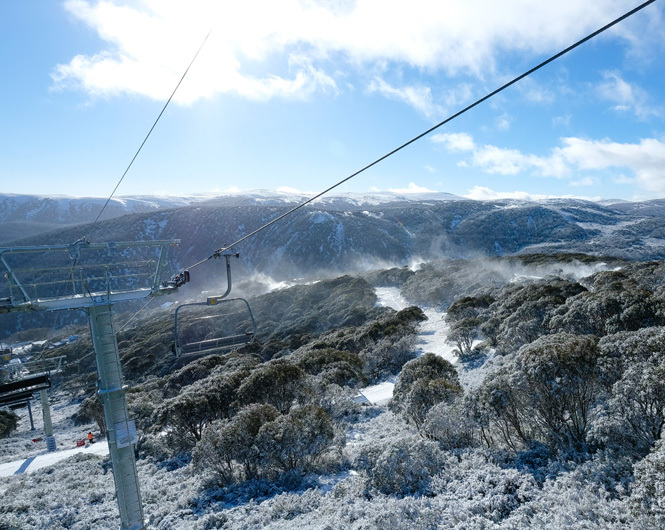 The settlement lies between an altitude of 1210 m and 1830 m, with the highest lift point at 1780 m.
Falls Creek offers true ski-in/ski-out accommodation, skiing and snowboarding for all abilities and a huge range of activities both day and night. If you seek adventure and an adrenaline rush, the terrain parks feature some of the best rails and jumps around, plus 65 kilometres of free cross-country trails, making it the home of cross-country skiing. The village also incorporates a day care centre, day spa and plenty of shopping, restaurants and nightlife with a variety of attractions to suit all visitors. Falls Creek holds various events which attract skiers from around the world. 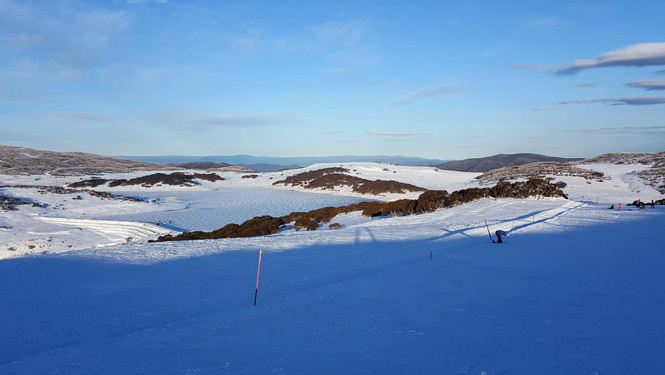 The Kangaroo Hoppet, The Australian Slopestyle Championships and Australia's highest sanctioned TTR World Tour event held in the first week of September are some of the events held in falls creek for professional skiers and snowboarders to test their skills. Snow chains must be carried during winter and fitted if directed when travelling to and from Falls Creek.